In neighborhoods throughout Cleveland, trap-neuter/spay-return programs (TNR) have proven to be effective in humanely managing feral and stray cats while at the same time reducing their numbers. 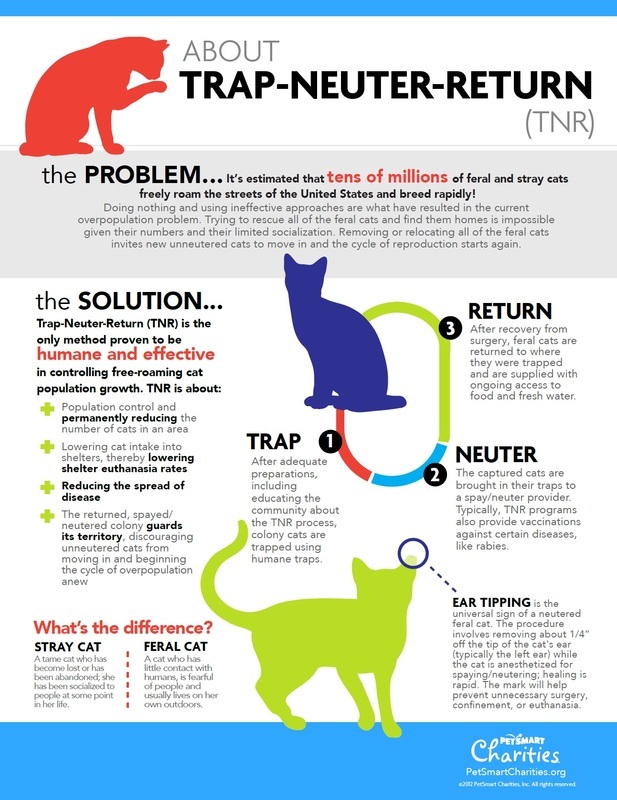 With TNR the cats are trapped, spayed or neutered, vaccinated for rabies, ear-tipped and, if they are feral, returned to their original territories. A trained caretaker then provides food and shelter, and watches for problems, or newcomers. Feral cats originate from pet cats that were not spayed or neutered then abandoned and have kittens in the wild who are fearful of humans. The Waterloo Alley Cat Project is currently managing several cat colonies and practicing TNR. We have helped over 400 cats since we began our mission in November 2009. We are not a rescue organization or an extermination service; we help the cats to live healthy lives outdoors by providing food daily along with shelter and veterinary care. Our project has garnered the support of municipal officials, residents and local businesses in this important cause. WACP is a non-profit volunteer initiative committed not only to improving Waterloo's community cats' lives, but also to the people who live and work in North Collinwood. Our mission is to humanely reduce the growing number of homeless/feral cats and kittens roaming the streets around the Waterloo business district due in part to the housing foreclosure crisis in the neighborhood. These cats undergo the excruciating physical pain that comes with hunger, cold, and injury and we aim to humanely end the needless suffering.